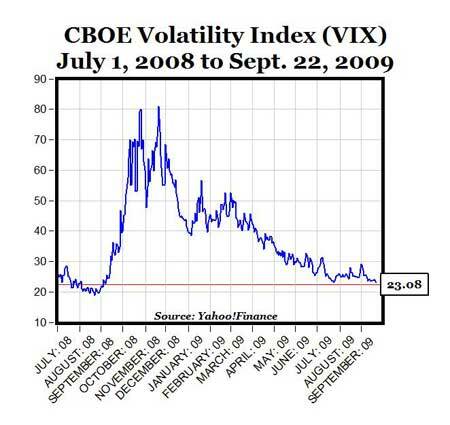 The CBOE Volatility Index (^VIX) closed at 23.08 today, the lowest level in more than a year, since September 5, 2009. 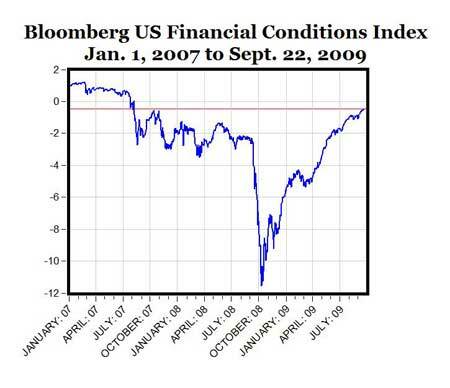 The Bloomberg U.S. Financial Conditions Index reached a new record high for 2009, and closed at the highest level (-.50) since August 2007, more than two years ago. 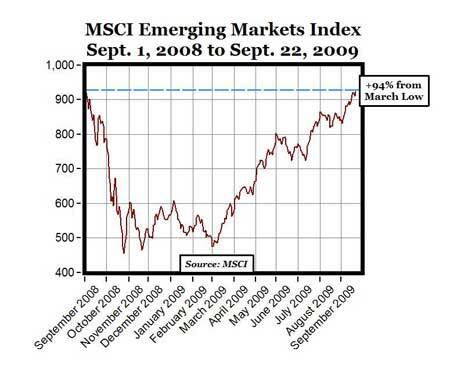 The MSCI Emerging Markets Index closed today at 922.31, reaching the highest level since September 2, 2008. Many of the emerging markets like Argentina, Brazil, India, Hong Kong and Taiwan are trading at the highest levels in more than a year.